Our firm is highly reputed among consumers for providing Crystal Healing Services. Reiki is of vedic origin and was lost to humanity. It was re-discovered by GAUTAM BUDDHA and was lost again. Finally it was re-discovered, a second time at the end of the 19th century by Dr. Mikao Usui. One Unique aspect of REIKI workshop is that each participant is linked to higher levels of energy and a channel for free flow of REIKI gets established through a series of four attunements. Crystal Healing – Learn the Healing Power of Crystals. Crystal healing is an alternative healing technique for strengthening the body and resolving issues and patterns using various forms of natural crystals. It helps to bring about healing and positive changes in the mind and body. In this process any type of problem, disease can be cure by the energy healing, dousing process with the help of pyramids, crystals, gems etc. 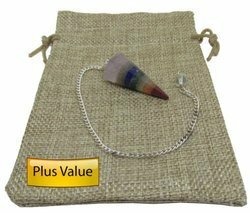 Offering crystal therapy, also called crystal healing, gemstone therapy or gem therapy, uses crystals, each selected for specific characteristics or wavelength, to treat a wide range of mental and physical conditions. Our firm is highly reputed among consumers for providing Crystal Gaizer Services. This gaizer service is presented to patrons in simple way. Moreover to this, these presented crystal services are satisfactory and accessible from us at minimal cost. Crystal Therapy is an ancient technique used for thousands of years which is fortunately beginning to make a comeback as a valued method of natural healing. Crystal Therapy can complement and enhance the healthcare a client may be receiving from other healthcare providers. 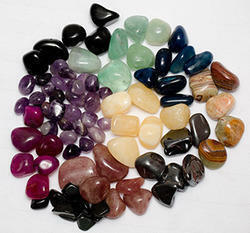 Crystal Therapy Crystals are powerful and effective sources of energy which can be used as an aid to healing. Crystal healing works with physical, emotional, mental and spiritual problems by removing the dis-ease and making you at ease with yourself. Reiki is a Japanese word for Universal Life Force Energy. It is the ‘KI’ of Aikido and the ‘CHI’ of Chinese Tai Chi and Acupuncture. Rei means Universal and Ki means Life Force Energy.